With the baseball season over, the time to focus to free agency is now here. This year’s crop of free agents is deeper than some people think, with some non-superstars that can really help a lot of teams. Here are my 30 best free agents for the 2012-13 class. 30 teams, so 30 players. The slugger had an up and down season in 2012 to his standards, but he is still an elite player. Hamilton smashed 43 home runs and if he can stay healthy, Hamilton is a legitimate MVP candidate every year. The risk is worth the reward with Hamilton. Greinke is a true ace. He was the 2009 AL Cy Young and has the potential to win plenty more. At only 28 years old, Greinke will be signing a big contract and his 15-5 record does not show how good he really was in 2012. Bourn helps any lineup right away and pitchers love his defense in centerfield. He is not a power threat at all, but he will always steal at least 40 bags, have a stellar on-base percentage and play great defense. His potential and skill set has never translated to production, but Upton has big potential and will be cashing in this winter. Upton has speed, power and serious range in the outfield. The idea of him being a superstar soon will be very attractive. Sanchez made an impression on baseball with his playoff performance with Detroit Tigers. He has big-time stuff and is still only 29 years old. Swisher certainly will not be getting Michael Werth money. He had another terrible performance in the playoffs, but he is still set for a pay day. He can play either corner outfield position and even first base as well. His power will be wanted. Lohse remade himself as a pitcher in 2012 and was fantastic for the St. Louis Cardinals. His 16-3 record along with a 2.86 ERA will be sought after, but not his age at 34. Do not expect a long-term deal, but two years can be a steal with Lohse. Edwin Jackson is a journeyman at the young age of 29, but he could be wearing another jersey again next season. When Jackson is on, he has dirty stuff, but he tends too be way too inconsistent. As a Scott Boras client, you never know with Jackson. Soriano was smart to opt out of his contract with the Yankees and teams will certainly pay for his duties as a closer. After Mariano Rivera went down for the Yankees, Soriano was sensational. He will be missed in New York. Napoli was not even close to the player he was in 2011. The bat was inconsistent, but he still showed pop with 24 home runs. 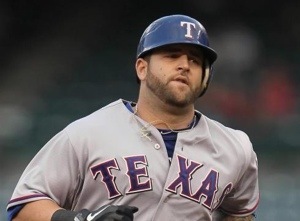 He is still a rarity as a power hitting catcher and will be a nice addition to whoever signs him. People didn’t really know how well LaRoche would do in 2012 after only playing in 43 games the season before. He silenced the critics and hit 33 home runs to go along with 100 RBI. The Nationals really like LaRoche and do not be surprised if he forces a Michael Morse trade. Haren had a down season for the Angels in 2012. He still has strikeout pitches and can be a legit No. 2 starter. He is a big West Coast guy and unless a team like the Cubs go big on Haren, he will most likely stay on the West Coast. Kuroda exceeded expectations in 2012 for the Yankees. Nobody thought he would be that good in the AL, but down the stretch he was the Yankees best pitcher besides C.C. Sabathia. The only question with Kuroda is if he wants to go back to Japan. Ortiz already signed a two-year extension with the Red Sox. Great move by Boston and when healthy, Ortiz is still one of the best hitters in the league. Pagan may have turned his career around with a resurgence in San Francisco. Pagan is not the perfect leadoff man, but he fit the bill in San Francisco. He is a speedy outfielder who may be hitting his stride with the bat. Hunter is respected, but all in baseball and he put up a solid season in 2012. With his age of 37, he should not be signing a long-term deal, but a one-year deal is in his future. Hunter is still an everyday player, but not a star. If Rivera comes back like he says he is, he will only be wearing pinstripes. Simple as that. The catchers in this free agent class are nothing special. I have Napoli ahead of him, but he is not too far behind. 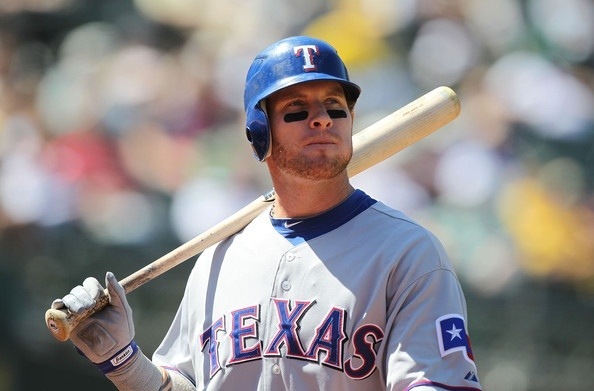 His 27 home runs at age 35 will be attractive, but most likely will not happen again. Just like Rivera, if he comes back it will only be with the Yankees. If Rivera does, so does Pettitte. The Giants got the steal of the year when the traded for Scutaro. He was a hitting machine in 2012 and refused to swing and miss. His playoff performance led to him being a hot commodity as a free agent. Dempster was not the same pitcher with the Rangers after being traded from the Cubs. With the Cubs he had a great first half of the season and Dempster loved his time in Chicago. He may find more time in the Windy City. Victorino was not the player he has been in the past this season, but he stole stole 39 bags. He is not a true leadoff hitter, but his bat will still help teams. He is also a big clubhouse guy that is respected in baseball. Ichiro was the Yankees most consisten hitter in the playoff and had a resurgence in pinstripes. He can still run, hit and throw with the best of them. No he is not the freak he was when he first entered the league, but he will still help a team. Cody Ross is an interesting free agent. He can play all three outfield spots, but none quite well. He has shown above average pop, but a below average on-base percentage. He wants a three-year deal and he can certainly get that. McCarthy was a really nice surprise in 2011, but injuries and a serious blow to the head had him limited this season. He is a very intriguing pitcher to watch especially after the A’s re-signed Bartolo Colon. Youkilis was pretty much forced out of Boston after being a fan favorite for years. He is not the player he once was, but if he stays healthy he can still swing it. His versatility on the field should also be intriguing. Oh, the Melky Cabrera debate will be one interesting story this offseason. Teams will certainly shy away from him after testing positive for PEDs, but he will find a new home. The man can still hit and with a one-year deal, he is worth the risk. Ludwick had his best year in quite some time with the Reds in 2012. He is certainly not a star in the outfield, but the man can hit. He should probably go to the American League, but the Reds could push hard to bring him back. Martin will not be getting the three-year extension he wanted heading into this season. His hitting was abysmal, but he is still an asset to a team. He is an above average defender and still has pop. The Yankees can bring him back for a year until Austin Romine is ready. Soria is another really intriguing free agent. He missed last season with Tommy John surgery, but was one of baseball’s best closers before the injury. He became really interesting when he said he would want to set-up Mariano Rivera. Prediction: Signs with the Yankees and becomes closer when Rivera retires. ‹ Wild Weekend of Sports: The Attack of the Ducks and… Roll Tide!